Which is Britain’s Favourite Brewery? As part of the British Family Fayre this year (www.britishfamilyfayre.co.uk) we are organising a beer festival to quench the thirst of our expected 8,000 revellers. The only issue is, with now more than 1000 breweries in Britain to choose from we need your help to decide which breweries to stock on the day. We have listed 20 of our favourites below but would love to know what your preferred tipple is. We will then try to get your ‘usual’ at our event on the 3oth August 2014. Which is Britain's Best Brewery? - Have your say! If your favourite is not listed in out poll then please leave us a comment with your recommendations! A truly independent micro brewery that’s all BRITISH! Could you do a ‘Which is Britain’s favourite cider/cider company?’ Obviously very keen on this in the west country!! Adnams great beer Suffolk wouldn’t been the same without it! I think you should buy local – beer miles ciunt just like food miles. My beer suggestions are Hogs Back (Tongham) and Rebellion (Marlow). Would definately like to see some Ciders as well. Aspalls and Westons with maybe some smaller ones like http://www.lilleysciderbarn.com/ – their apples and pairs is fantastic. Made in the heart of Cardiff, Wales and vegan friendly! They run open bars (with BBQ) first Sat of every month if you fancy a taste! The Canadian Giant, ‘Molson Coors Brewing Company’ now own’s ‘Sharp’s’ Brewery! Does it still qualify? It hurts when our companies get swallowed up by giant greedy faceless multinationals! hummm! not a big fan of that! Blacksheep from Masham in Yorkshire – yum! Shepherd and Neame leading! OMG… i know its a matter of opinion and taste but any discerning drinker will tell you that you that we have so much better craft ale than were being asked to vote for here. Fyne Ales Jarl at 3,8% is one of the UK’s most stunning session ales but the selection given misses many breweries with imagination and invention. Master Brew -add more alcohol,= Spitfire add more alcohol =Bishops finger etc.. its the same pint 3 ways. no wonder they don’t want guest ales… Brew dog are breaking new ground as well. All good fun but some beer drinkers should ‘not always holiday in Blackpool’ … try something new! Shame on you for not listing Adnams…..! lots of support to Adnams. Will have to give it a try. 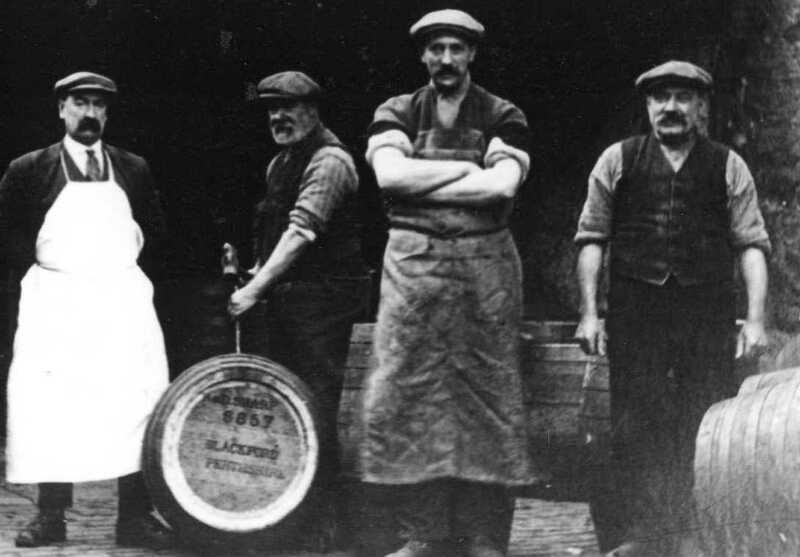 Being in Gloucestershire, this be cider & perry country, A local man brews a very popular cider called Tosher’s Tipple – does cider count? He’s also on Facebook. There’s the Freeminer Brewery here in the Forest of Dean too. There are so many small breweries up and down the country, all making fab stuff. We will be looking for good quality perry and cider for our fayre too! There are so many small local cider producers you’re spoiled for choice, but Tosher’s is tops. Aspalls make a very fine draught cider which is dry (can’t stand the sweet stuff). They also make some great bottled ciders although top of the range Premier Cru is a bit strong for me at 7%. 100% British from East Anglia. Hey Val, Which would you recommend? George’s and Hop Monster Brewery, Great Wakering, Essex. A great range from a small brewery. Whilst every one is mentioning their favorite breweries mine is Holdens in Sedgley West Mids. Although they do the usual bitter and mild but my favorite is their golden glow . Adnams! And definitely second Aspall’s cider.